Airstreams are unforgettable icons of design, travel and the American experience. When you come across a 1971 model as well maintained as this one, it is hard not to be impressed by its shiny skin, flowing curves and compact convenience. 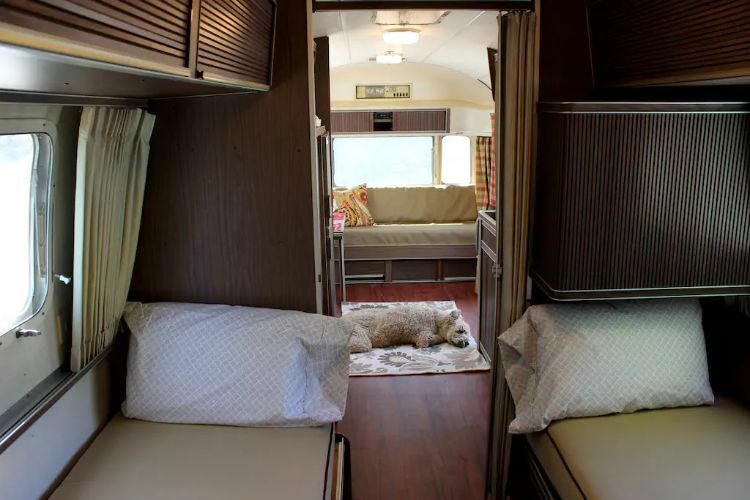 When you book this Airstream Sovereign through Airbnb, you will quickly understand why the hosts describe the RV as "the Cadillac of trailers." 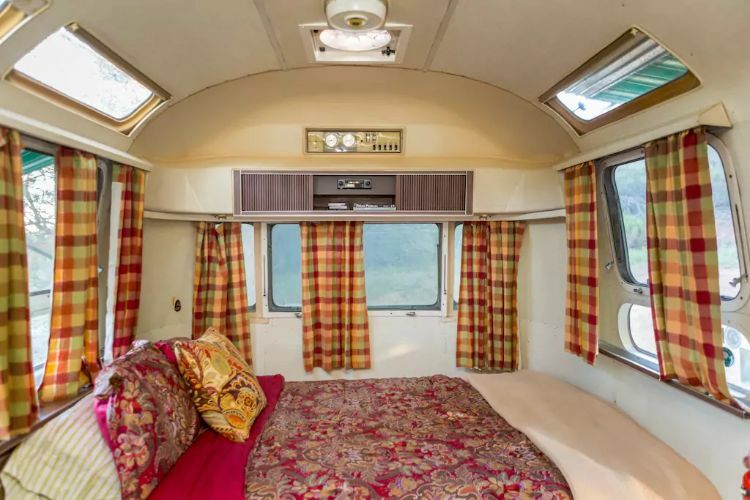 Murray and Kay describe their Airstream oasis as being the perfect location for someone who loves nature but who also has a fondness for vintage icons. It's "a little rustic but vastly rewarding." That's definitely true. This Airstream has everything one could need: sleeping arrangements for four, a spacious kitchen, updated bathroom and outstanding outdoor areas to relax or to go for a hike. Check it out below. When you first step inside, you will notice the large and well-lit kitchen. It has all the counter space you need to prepare a home cooked meal and plenty of refrigerator space to store any leftovers or perishables. 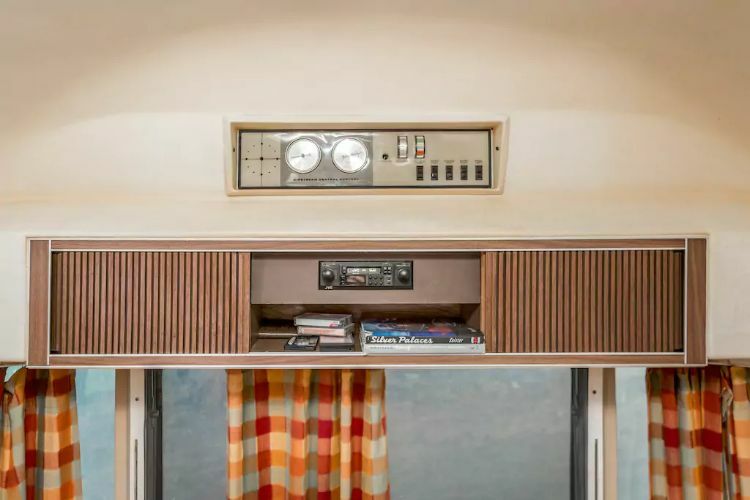 You've got to love the old-school details found in this Airstream such as the original shelving complete with tapes and some literature on vintage trailers. In the central hall of the Airstream, you will find two twin beds, each with a window and storage space. Looking back through the kitchen, you will see the cozy futon in the living room. 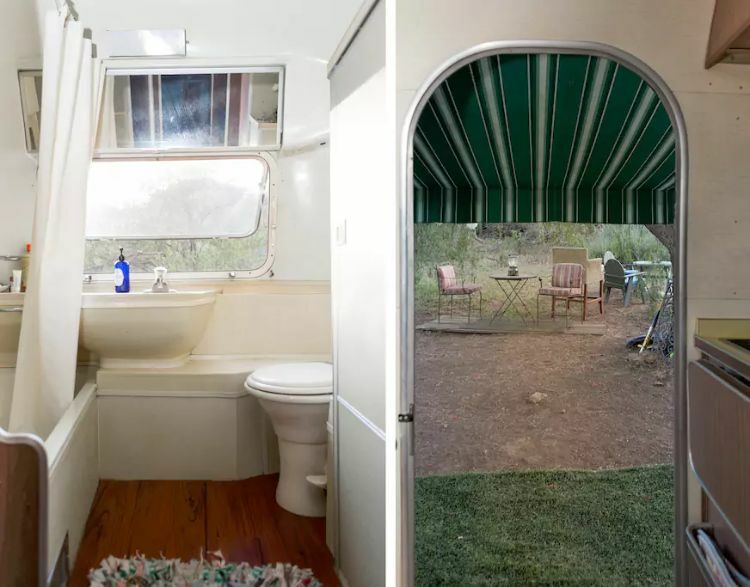 New hardwood floors were put down throughout the Airstream, including the bright and airy restroom. Look outside the front door, and you will fall in love with the outdoor dining area. The private bedroom features a queen-size bed. The panoramic windows provide plenty of light for when you want to bask in the sun for an afternoon nap or offer an unforgettable view when you want to gaze out at the stars at night. 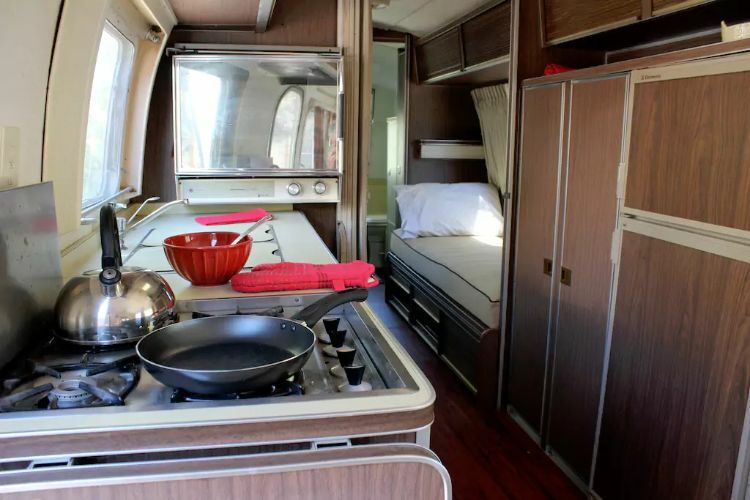 Treat yourself by staying in this glamorous and well-designed Airstream CCD. Not only is this Airstream in a great neighborhood, but also the property itself is equally amazing. 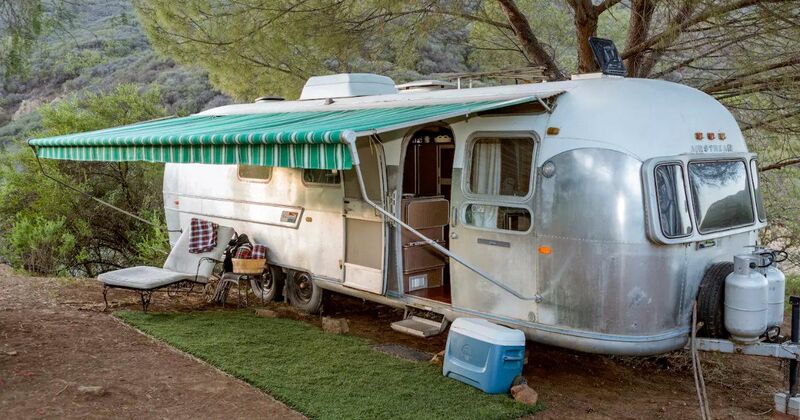 This mid-century Airstream is a gorgeous lakeside paradise.